Winter Is Coming! 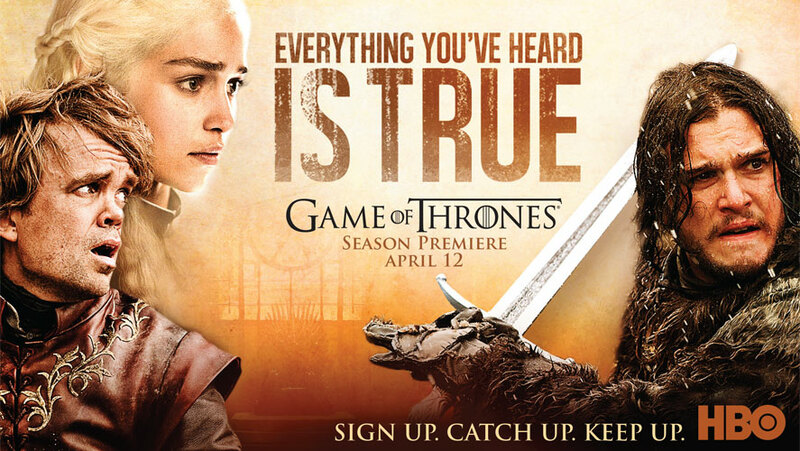 I'm a huge fan of Game of Thrones, so I was super excited to get to help with HBO's Spring Campaign. Using the top show on HBO we used email marketing, web banners, digital marketing and social media to drive traffic and create a buzz for HBO. Spoiler: Jon Snow is obviously a Targaryen so theres no way he really died.